The World Tree, Yggdrasil, is a symbol of the interconnectedness of the Norse world. The iconic symbol of the tree reaches into every part of the Norse universe. 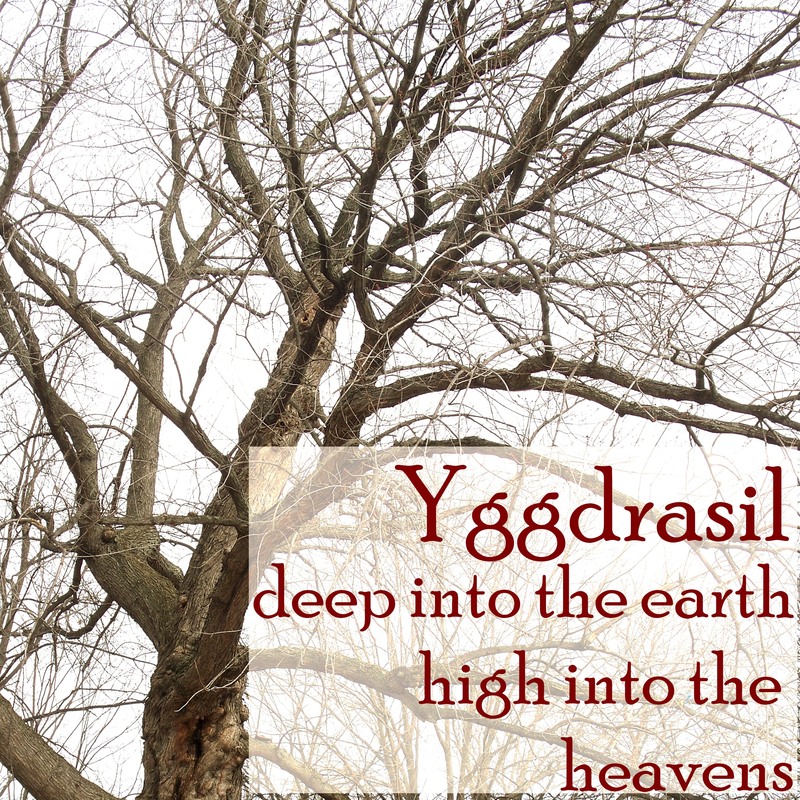 Yggdrasil’s roots reach deep into the earth to Niflheim, the land of miners, dwarfs, and of the dead. The branches of the tree reach high into the heavens, the location of Asgard, home of the gods. The trunk that connects them spans the distance of Midgard, home of the humans. The type of wood that comprises the World Tree is dependent upon location. The most dominant tree in the landscape would be the icon that ancient people would adopt as their vision of the World Tree. The most common version of the World Tree, however, is the ash. Odin has a relationship with the World Tree that is unique to him. Odin is the God of wisdom, and, in his search for wisdom, he sacrifices himself to attain it. Odin puts out one of his eyes and suspends himself upside down on Yggdrasil until the secret knowledge of the runes are revealed to him. The runes, which can be made from chips of a tree as well as other media, are unique in that they provide us with wisdom across time. They are at once prophetic of future events as well as a written alphabet which preserves for us the knowledge from the past. Yggdrasil can be seen as a superhighway of sorts. The runes help us to travel through time from past to present, while the tree itself can be traveled across distance, from up to down and back again. The most frequent traveler upon the World Tree is probably Odin, who traverses its path into all three realms, as we shall see in the story of the Winter Solstice.